Coffee Mornings, Talks, Recitals, Outings, etc. The most imminent events are at the top of the list, later ones further down. 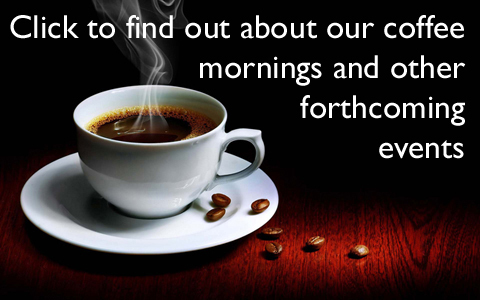 Note: The monthly coffee mornings are held on the first Tuesday of each month. To attend any of these events, Email our Administration Manager or Telephone 01865 790439.